One of our most loved eastern North American trees is the sassafras (Sassafras albidum). Much less well known is its Chinese counterpart, Sassafras tzumu. Growing across much of southern China, it makes a tall tree to over 100′ tall in open woodlands and forest edges. In cultivation it typically is more of a medium sized tree, growing to 35′-60′ in 20 years. When grown in the open, it has a distinctly tiered habit, much like some species of dogwoods. 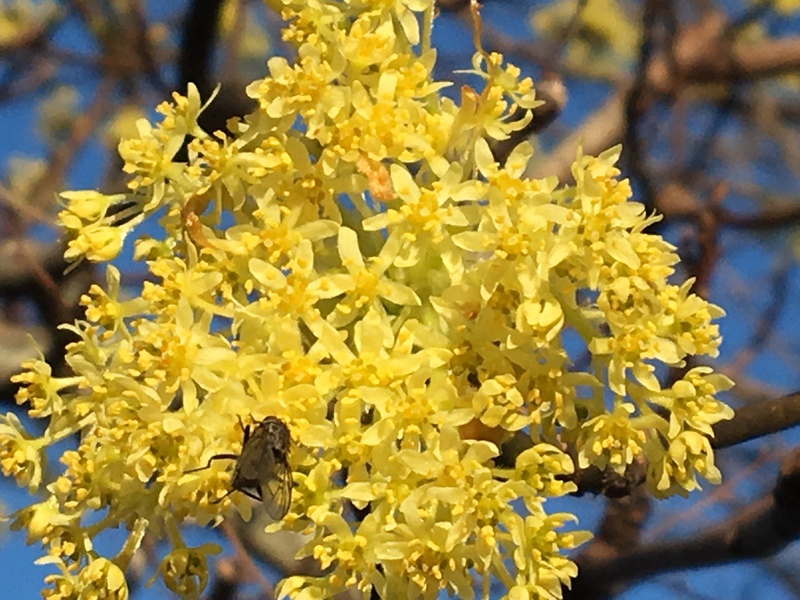 Late winter to early spring flowers are clusters of small gold blooms at the tip of each branch. 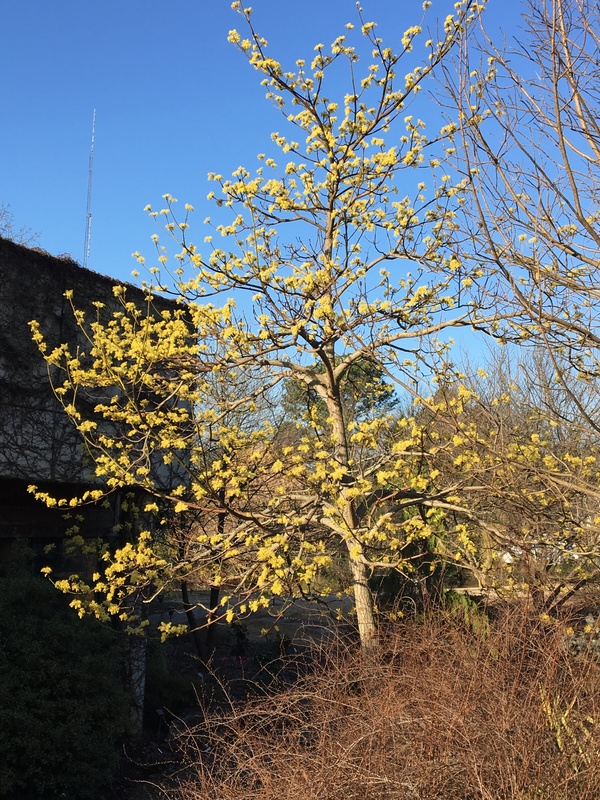 In full flower, Chinese sassafras is as showy as any spring flowering tree and resembles a large Cornelian cherry (Cornus mas and C. officionalis). The leaves emerge with a touch of burgundy before becoming large and green with the typical sassafras foliage shapes – ovate, mitten-like, and tri-lobed. 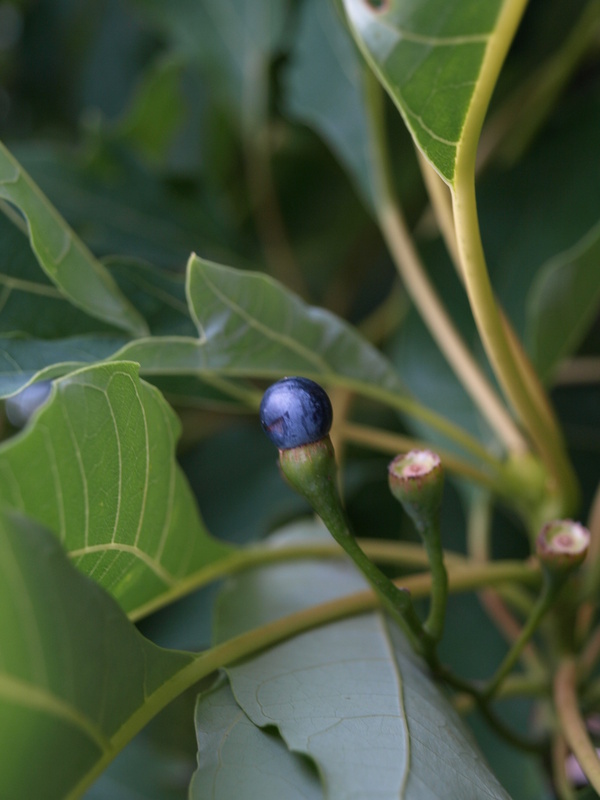 Sassafras has separate male and female plants so the blue-black fruits are rarely formed unless 2 trees are grown in proximity to each other. On occasion, typically male plants will put out some female flowers and form fruit. 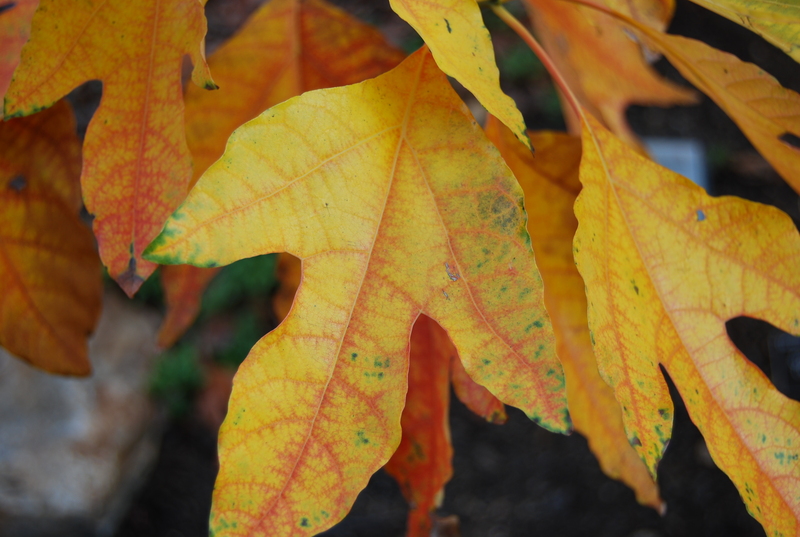 Fall color is spectacular and among the best for southern gardens. After the leaves drop, stout yellow-green branches provide some measure of winter interest. A Chinese sassafras in full flower is hard to beat. Pollinators appreciate the showy flowers as well. Fall color can be spectacular. 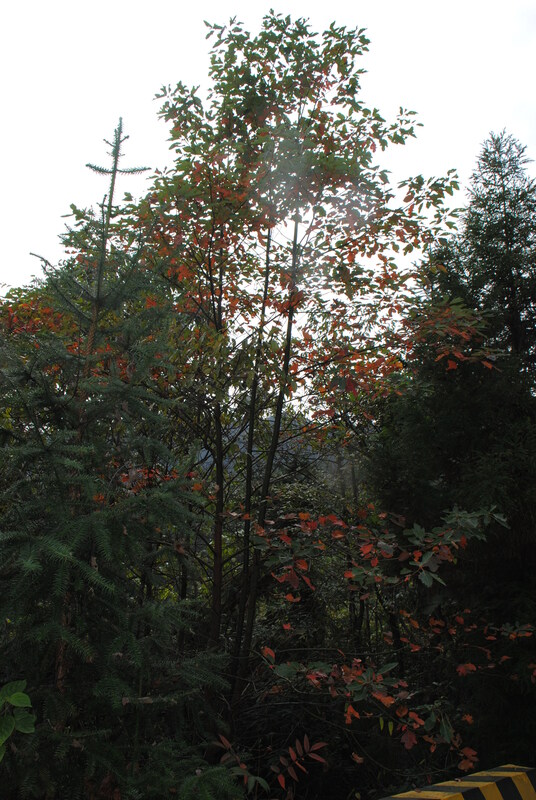 Sassafras tzumu growing wild in the Nanling Mountains in China. 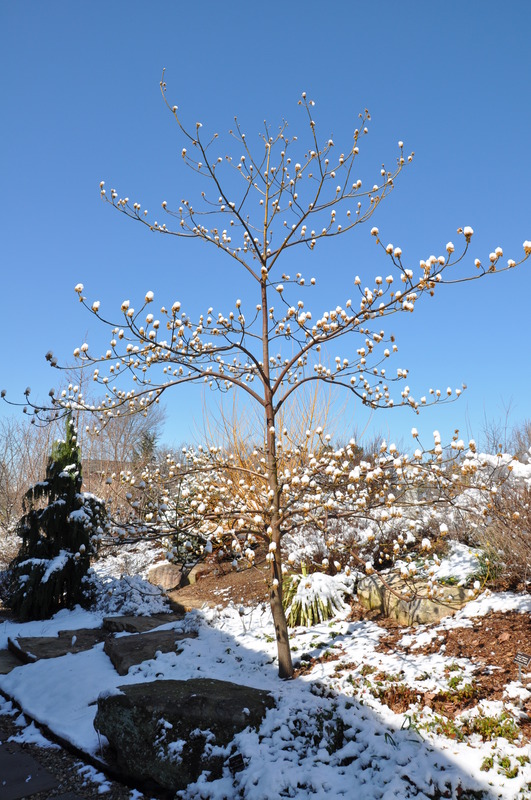 A snowfall highlights the tiered, open habit of Chinese sassafras. The blue fruit of Sassafras tzumu. This entry was posted in Plant of the Day on March 12, 2016 by Mark Weathington.